Okay, so Sony has delayed the PlayStation Vita until 2012, meaning Santa Claus won't be leaving one under our tree this Christmas. But that's not so bad — at least we'll still have Kinect Star Wars to save us from Scrabble with grandma, right? Right?! Wrong! "Microsoft and LucasArts have elected to move the launch of Kinect Star Wars beyond holiday 2011 to ensure the full potential of this title is realized." So what about that limited edition Star Wars Xbox that looks like R2-D2 and comes with a C-3PO controller? "This move applies to both the Kinect Star Wars stand-alone game and the Kinect Star Wars Limited Edition Console. We will communicate additional timing information at a later date." 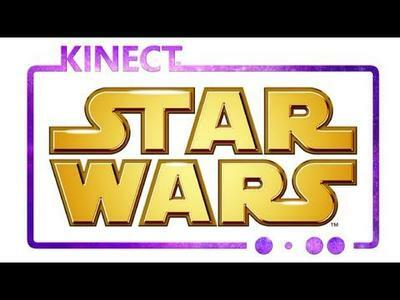 In a nutshell, Kinect Star Wars just isn't going to be ready for a launch this holiday season. It seems the gaming industry's big guns are hellbent on ruining this year's Christmas for us gamers. Has the Nintendo 3DS made its way onto your wish-list yet? If you haven't already seen the Kinect Star Wars trailer from this year's E3, check it out above.